a Balloon in a Box? 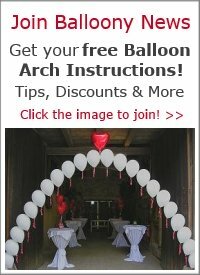 Have you ever received a balloon in a box yourself? 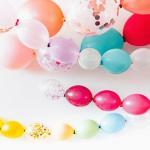 Then you know the surprise when you open the box and a shiny mylar balloon gently floats out! 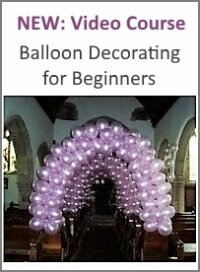 It's a great gift, equally suitable for children and adults, for birthdays and weddings, for delivering personally or sending by post. 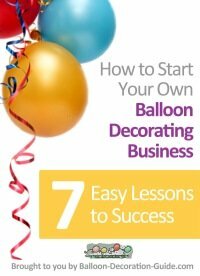 So, who will get your first self-made balloon in a box? clear packing tape, 5 cm wide. 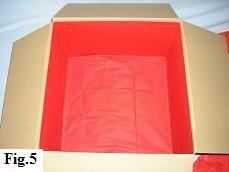 Take four pieces of tissue paper and cut them to the width of your box. The length you require will be the height plus the width, which gives you enough to line each side and four overlapping layers to cover the bottom of the box. 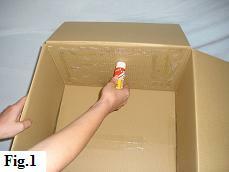 Starting on one side, run your glue stick around the edges and three or four times across the middle (fig. 1). 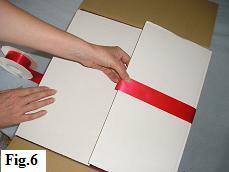 Now take the first sheet of tissue paper and carefully line it up with the top edge of the box (fig. 2). Before pressing it into position, make sure that the remainder of the tissue paper will not come into contact with the glue on the surface. Now, working from the top down to the bottom, begin lightly and evenly pressing the tissue paper onto the side (fig. 3). 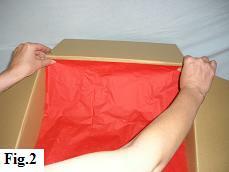 The remaining length of the tissue paper should be covering the bottom of the box completely (fig. 4). 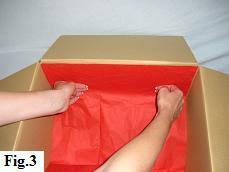 Repeat these steps on the remaining three sides and the box should finish up neatly lined and with four overlapping layers of tissue paper to 'soften' the bottom of the box (fig. 5). 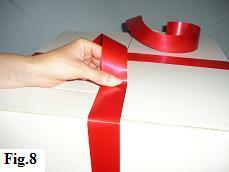 Take the deco ribbon and bring it around the underside of the box. Making sure it's centralised, line up the end of the ribbon with the edge of the first closure flap and attach it with a piece of clear packing tape (fig. 6). 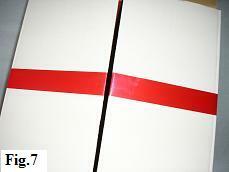 Now bring the other end of the ribbon around and cut it so that it lines up with the edge of the second flap. Again, attach it with a piece of clear packing tape (fig. 7). 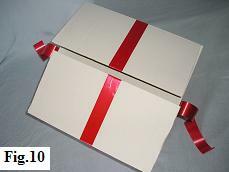 Take your second length of deco ribbon, giving enough to wrap around the box and overlap at each end by about 10 cm (fig. 8). 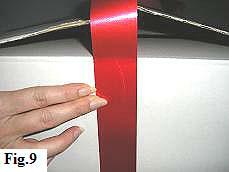 Now, making sure that the ribbon runs centrally across the seam of the two flaps, take a piece of clear packing tape to stick the ribbon at the top edge of the side of the box (fig. 9). Repeat this on the opposite side of the box. 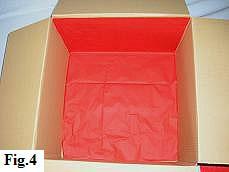 And this is how your box should look! Time for a break - put up your feet, relax and have a glass of your favorite drink. 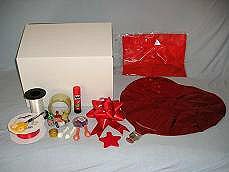 When you're ready, come back and we'll move on to the fun part of making a balloon in a box.